When children play, they’re learning with their bodies by touching, seeing, hearing, smelling, tasting and moving. Every day, there’s something new to discover. 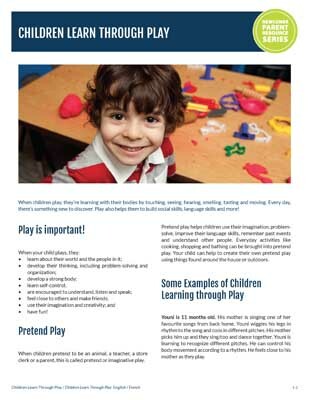 Play also helps them to build social skills, language skills and more!